← If you do drugs…. Swedish photographer Clara Hallencreutz likes to have fun with her art. Keeping it light and whimsical, but nevertheless clever and appealing. 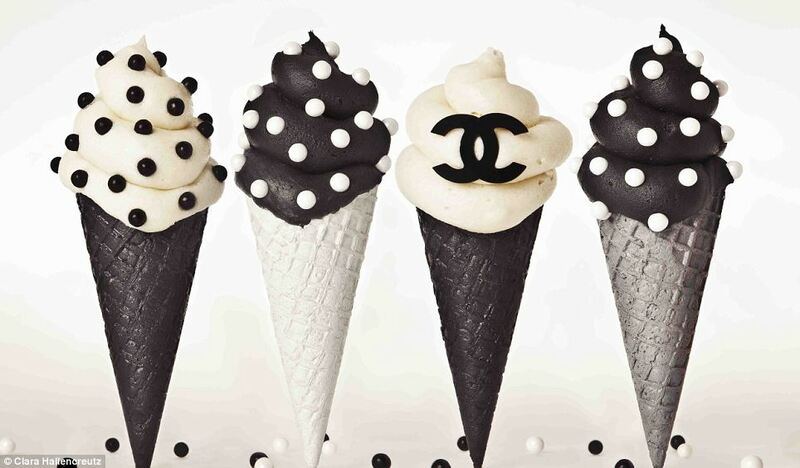 Her current project, The Taste Chanel exhibition, is a perfect example of her style, fusing food and fashion. It’s fun, fresh and, well, fabulously fashionable. According to her website the tone of her artwork can be described as “amusing and carefree, featuring bold dynamic colours isolated in a clean surrounding. Often portraying small-scale installations of everyday objects painted with a pop artist palette”. And pop art it is. Her art can easily be called warholesque. Blending one of the most influential fashion brands with popular foods, and making it into colourful pieces of art. Spending time in front of the camera as well as behind it. The glamorous Swede would most likely get Mr. Warhol’s stamp of approval. Currently Hallencreutz’s artwork is being shown one piece at a time (changed when sold) at the Opera Gallery in London. Prices start at around € 4,500. Every piece is limited edition or a one-off. For behind the scenes footage and to stay posted on her projects, you can follow her on Twitter, Facebook and Instagram. Make sure to take a look! 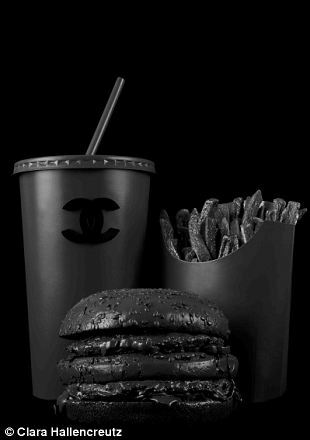 This entry was tagged art, brand, chanel, Clara Hallencreutz, exhibition, expo, fashion, food, fusion, ice cream, label, logo, london, McDo, McDonald's, model, photography, pop art. Bookmark the permalink.